On average, you can expect to get around 10 to 15 years of top-notch use out of a water softener. Once this duration has passed, your water softener will be working on “borrowed time,” so to speak, and could give up on you at any moment. To ensure that your system is still working at maximum capacity, there are a number of things that you’ll need to keep your eye on. If you notice any of the following signs, there’s a decent chance that your Medina, Illinois water softener needs to be replaced. Does the water pressure in your home seem to be lower than it once was? If so, there’s a chance that your water softener is to blame. Impaired water softeners can affect water pressure in two general ways: 1. They can become impaired by salt bridges, preventing water from passing through them at a steady rate, or 2. They can fail to properly soften your water, resulting in a buildup of calcium and magnesium that restricts the flow of water through your pipes. While your softener could be fixed with a repair, there’s a chance that it might need to be replaced entirely. In any case, you should have it checked out by a water conditioning specialist to be absolutely sure. While the difference in taste between hard and soft water isn’t necessarily substantial, it’s generally noticeable. While soft water possesses a pure, refreshing taste, hard water tends to have a bit of a metallic taste. A sudden metallic taste to your water likely means that your water softener is not serving its purpose appropriately. Though a simple repair might be able to get your softener back on track, there’s a chance that it will need to be replaced with a newer model. A fairly clear indication that you’re dealing with hard water is if your soap does not lather easily. Whereas soft water will generate a great deal of soap suds in a very short amount of time, hard water will generally prevent soap suds from appearing at all; at the very most, they will be minimal. In essence, if your soap isn’t lathering, it’s likely because your water softener isn’t working properly. It might require a minor repair, it might require the addition of fresh salt, or it might just need to be replaced. Limescale is a white, powdery substance that typically shows up on sinks, faucets, and shower heads. 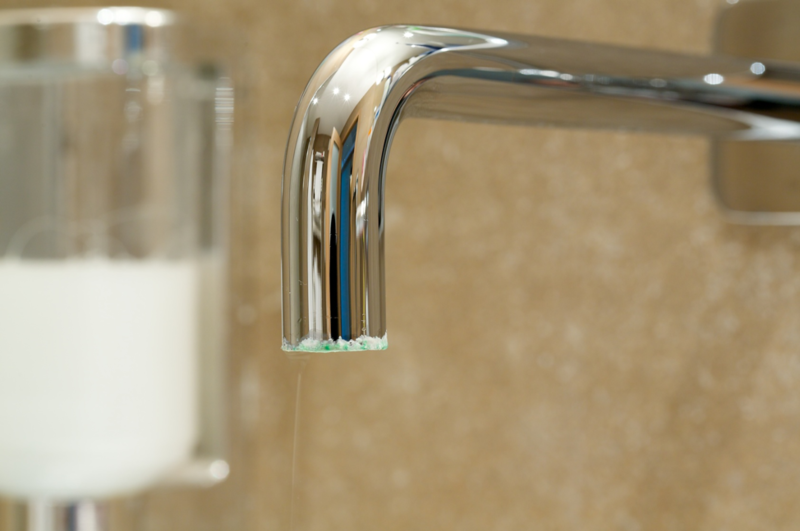 It is the residue of the calcium and magnesium that remain after hard water has evaporated. If you notice this substance on your appliances, your water softener is not doing its job correctly. First, it’s wise to do some troubleshooting. Can your softener benefit from repair? If not, a replacement will likely be necessary. As noted above, water softeners typically work for around 10 to 15 years. At most, you’ll be lucky if yours survives 20 years. While you don’t necessarily need to replace your softener the second it turns 20, it’s not a bad idea to start thinking about it. Looking to Replace Your Water Softener in Medinah, Illinois? Is your water softener no longer working like it used to? Looking to replace it? In need of a water conditioning company in Medinah, Illinois? Johnson Water Conditioning is the company to call. In business since 1936, we know everything there is to know about water conditioning. Our team of expert purification specialists will have your new water softener installed in just a short time.